My cousin Donna Coe treated me to a boat ride on the Willamette River in Portland, Oregon. 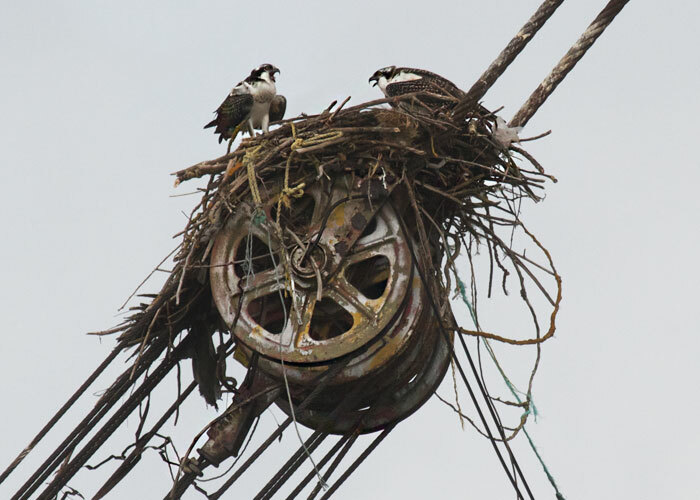 My absolutely favorite moment was seeing the pair of ospreys who have built their nest on its pulley wheel. 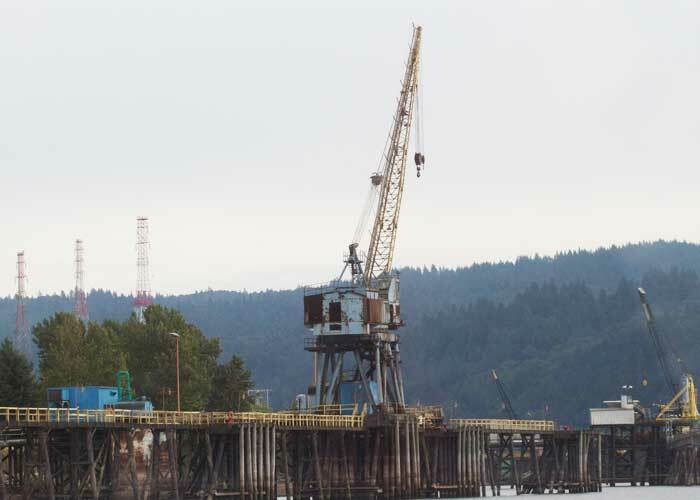 Here is a longer view, showing the whole crane. The pulley with the nest on it is on the left side, about half way up the scaffolding. It looks flat on top because of the nest. I think an osprey is perched there with its wings extended.